Zane Torre, the young gun from Costa Mesa, California, is one of the hottest up and coming track talents in the United States. Spending his summers in Belgium and Germany to live and breathe the heart of worldwide cycling culture, Zane has been building power, endurance, and incredible bike handling and pack skills as he develops into a rookie pro. Zane also works for a number of charities, does work in the industry, and appeared on the cover of Bicycling magazine. 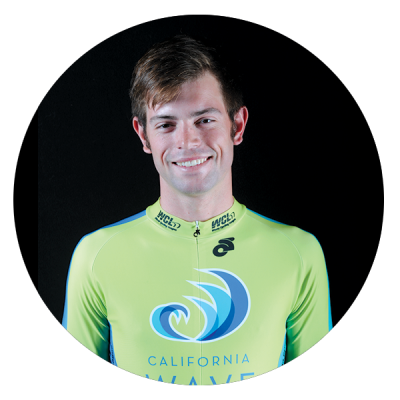 He has learned mental toughness, discipline, and persistence on his journey, so expect Zane to ride his heart out with the home fans on his side to make his debut in the World Cycling League.